The largest recall is for an airbag defect that could cause driver injury or even a crash. Numerous recently discovered and potentially dangerous defects have forced transportation officials to issue several recalls affecting thousands of trucks. 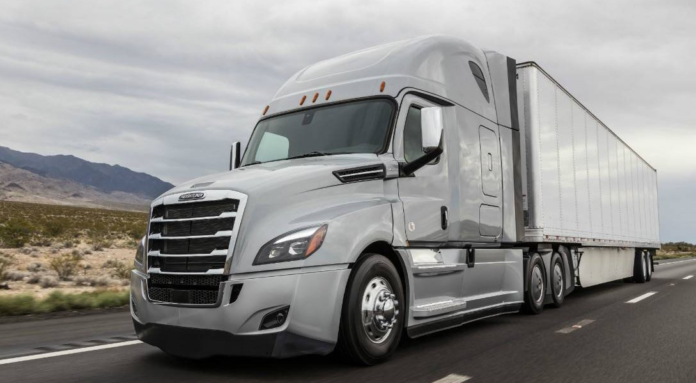 The largest single recall is for almost 3000 Freightliner Cascadias manufactured between May 17, 2016, and November 5, 2018. These trucks could have a defect that could cause the driver’s side airbag to deploy “unintentionally”, which in turn could cause injury to the truck driver or even a crash. Daimler Trucks North America hasn’t yet figured out why the airbags could deploy unexpectedly, but starting on January 9, 2019, they will notify truck owners about the defect and dealerships will modify the wiring leading to the steering wheel clock spring to fix the issue. This recall impacts 2894 trucks. If you have questions about this recall, you can call Daimler customer service at 1-800-547-0712 and reference recall number FL800. Over 1600 PACAAR manufactured trucks have been recalled for missing reflex reflectors that could reduce the vehicle’s visibility to other drivers and increase the risk of a crash. This recall affects certain 2013-2019 Kenworth T680 and T880 and Peterbilt 579 trucks. These vehicles are “equipped with side extender mounted intermediate marker lamp/turn signals that do not include a reflex reflector,” according to the recall notice. 1,619 trucks are affected by this recall. If you have questions about this recall, you may contact PACCAR customer service at 1-918-259-3258 and reference recall numbers 18KWF and 18PBC. Mack Trucks and Volvo Trucks are issuing recalls for over 900 trucks equipped with Bridgestone M854 tires. According to the recall notice, the sidewall steel body cords of the tires may be exposed, possibly causing unexpected, rapid air loss while driving. This, in turn, increases the risk of a crash. The Mack trucks affected by the recall include certain models of 2019 Mack Granite (GR), LR, and TerraPro (TE) trucks. The Volvo recall affects certain 2019 Volvo VNL and VHD trucks. In total, 921 trucks are affected by this recall. The Volvo recall is set to begin on December 21, 2018. If you have questions, owners can call Volvo customer service at 1-800-528-6586 referencing recall number RVXX1803. The Mack recall will also being on December 21, 2018. If you have questions, owners can call Mack customer service at 1-800-866-1177 and reference recall number SC0412.